Speak up for the needs and rights of people with Alzheimer’s disease and their families. Learn about the legislative process. Meet face to face with elected officials. 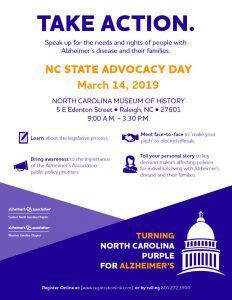 Bring awareness to the importance of the Alzheimer’s Association public policy priorities. 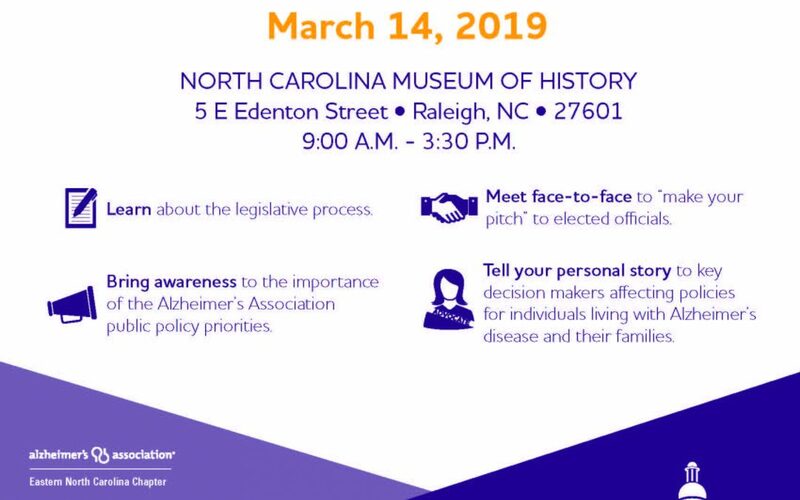 Tell your personal story to decision makers affecting policies for individuals living with Alzheimer’s disease and their families.